I was rocked and so saddened by the sudden passing of my childhood hero David Cassidy that I knew I had to do something more than mourn his loss....And then it hit me...I should try and write a song about what he meant to me--how the girls wanted to be with him but I wanted to be like him. Duly inspired, I finished it the same day he passed away. Joining forces with the mighty creative team of Fernando Perdomo and Rob Bonfiglio, we moved into overdrive. I did some recording at Rob's studio in Toluca Lake late last week and then finished up with a session at Fernando's Reseda Ranch Studios yesterday. 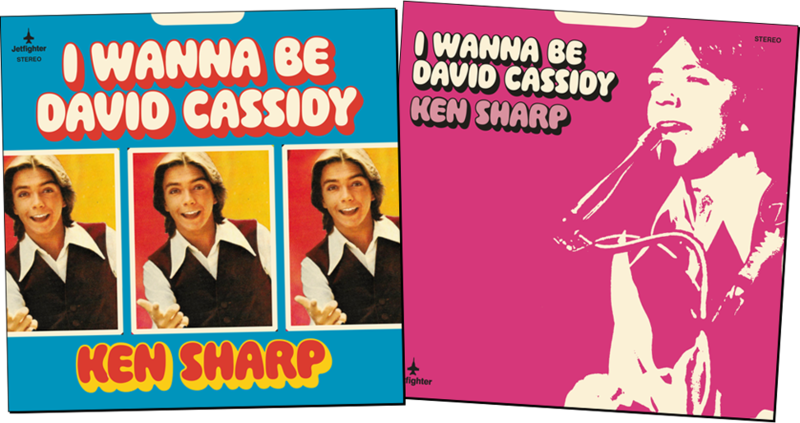 And today, with God (and David) on our side, my song "I Wanna Be David Cassidy" premiered on Rodney Bingenheimer's national radio show on Sirius XM. All proceeds from the sale of the single benefit David's philanthropy, the Alzheimer's Association.